It's tax season, which means our mailboxes are filling up with W-2s and 1099s and other financial forms sent to the IRS to tell them how much income we need to declare. We expect statements from employers, banks, and brokerages reporting the interest or dividend income we collected in 2011. But Citibank customers may have an extra surprise in store for them. It seems that Citigroup's (C) Citibank ran a promotion last year offering thousands of frequent flier miles as a reward for opening a bank account. That's not a novel practice -- such promotions are commonplace in the credit card world. What's out of the ordinary is this: Citibank is sending out 1099 forms reporting the miles as income. Mile awards are nothing new, but reporting them to the IRS is far from standard practice. The company says it is just complying with the tax code. It cites as its reason the 2012 instructions for the 1099-MISC form, which states that $600 or more in awards or prizes is taxable income. If you receive a 1099 form from Citibank for miles, you have two main options: Ignore that income on your tax return, or report it. Ignoring it seems very reasonable. If you ask a good tax pro whether your frequent flier miles are reportable income, she'll generally say no. The IRS has even weighed in on this in the past, explaining that due partly to the complicated nature of mile awards, it has not been actively enforcing collections on miles. A 2002 IRS announcement notes: "Because of these unresolved issues, the IRS has not pursued a tax enforcement program with respect to promotional benefits such as frequent flier miles." Thus, it would seem that you're safe in disregarding miles awarded to you in various promotions, right? Well, not necessarily. Citibank may have messed things up. When you receive a 1099 form, it generally means that the issuing entity has reported the same information to the IRS. Thus, the IRS will be looking to see the reported data on your tax return. So that 1099 form that Citibank may have sent you is not just between you and Citibank -- it's between you, Citibank and Uncle Sam. One reason certain tax returns get flagged for audits is that some income seems to have not been reported. So, logic goes, if you ignore a 1099 statement for those frequent flier miles, your odds of being audited may go up. There are some times when miles are clearly taxable income to be reported, though. That's usually when they are transformed into cash or become more cash-like. For example, there are some online markets where you can trade in your miles or other reward points, receiving a set cash value. Let's say you're considering reporting the miles. How big a deal would that be? Well, imagine that you were awarded 25,000 miles. 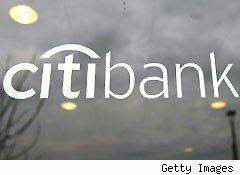 Citibank has valued them at $0.025 cents apiece, so that comes to a total reported value of $625. If you're in the 25% tax bracket, that represents $161.25 in extra taxes that you'll owe -- on a trip or trips that you may not have taken and may never even get around to taking. In a Los Angeles Times article, David Lazarus offers the example of Larry Fechter of Palm Springs, Calif., who was awarded 25,000 miles: "Adding insult to injury, Fechter said, his new Citi accounts paid less than $4 in interest on the cash he'd deposited." If you receive this 1099, it will up to you what you do with it. Ignoring it and running a greater risk of being audited is not an appealing consequence. But for the millions of Americans who file honest tax returns, it may not be the end of the world, either. If your return is audited because of the discrepancy caused by Citibank miles, you or your tax pro representative could make a case for why the "miscellaneous income" should be omitted, citing the IRS's own policy, from 2002. With any luck, the IRS will clarify this matter in the near future. But there's a good chance it won't happen in time for your 2011 tax return. Until then, Citibank's customers have a choice to make. Longtime Motley Fool contributor Selena Maranjian holds no position in any company mentioned. Click here to see her holdings and a short bio. The Motley Fool owns shares of Citigroup.